About us B M Howarth Ltd was established in 1989 by Chris Bell and Roy Moorby. After 29 years B M Howarth Ltd has become a substantial practice employing over 70 professional staff. With the head office located in Halifax and branches in Leeds and Wakefield, B M Howarth Ltd provides a range of services to its client base throughout the UK and across the globe. We believe in providing an exceptional standard of service to every client. 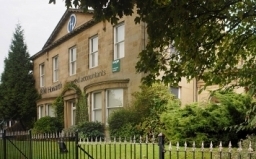 As a result, we've developed a range of services that exceed the remit of an average accountancy firm.